Ticket Book Custom order, "CALIFORNIA PEACE OFFICER"
Custom order, "CALIFORNIA PEACE OFFICER" ticket book. The front of the ticket book reads the badge number, up to four letters/numbers. The stamp is the California seal. This book is made of 6 to 8 oz of heavy duty holster leather, and comes with a driver's license holder clip on the inside. The back page can read your last name, or any other words or phrases, up to 10 letters. It can also be basketweave. In the break of the ticket book I can also add your department's initials, such as HPD, RCPD, SJPD, or dept. name (up to 10 letters). 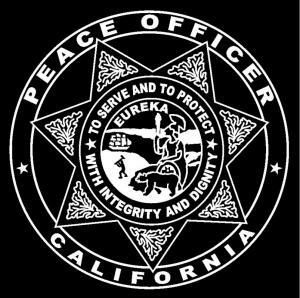 CA-OFC Citation (Ticket) book, "PEACE OFFICE CALIFORNIA"
During check out, please list what you want your ticket book to read. your phone number where you can be reached in case there's some confusion.